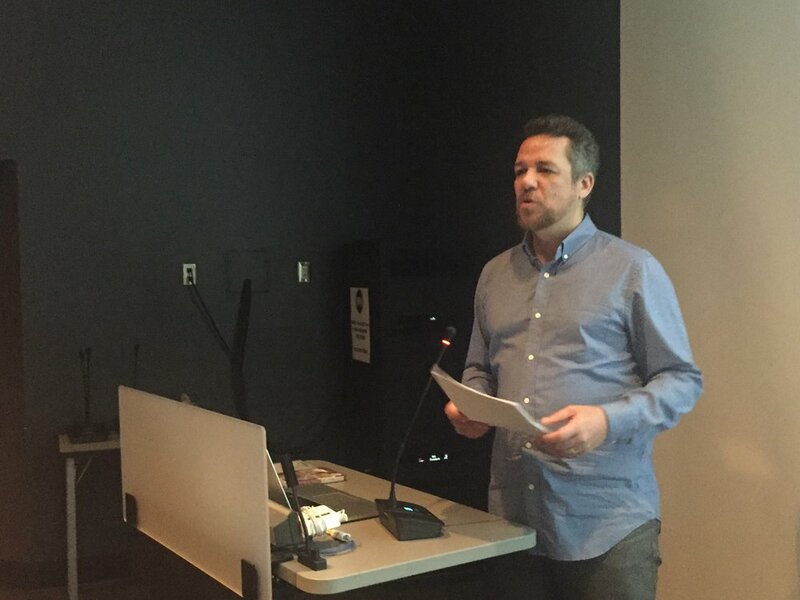 The Screening Memory film series aims to explore the history of memory representation in film, said Hudson Moura, programmer of the film and debate series that ran through March at the Image Arts Centre at Ryerson University. The series was created in partnership with the Centre for Memory and Testimony Studies at Wilfred Laurier University in Toronto. The centre studies how memory and forgetting are represented in Canada and compares those findings to representation in art and culture. The films series at Ryerson is intended to be a lead up to the main conference and film series taking place in October at the University of Toronto called Americas Remember, Americas Forget. The series on March 24 presented two films, however, most of the attention during the subsequent debates was focused on the feature film, The Colour of Pomegranates. Written and directed by the late Sergei Parajanov, the Soviet/Armenian film depicted the life of the American poet Sayat-Nova. Although the film proved too abstract for some in the crowd to follow, as they later admitted, a handful of people really grasped the messages the movie attempted to portray. Teimuraz Keshelashvili, a PhD candidate and psychotherapist, said his Georgian background gave him a deeper understanding about the symbols and allegory Parajanov used throughout the film. “He really showed us the suffering of the poet and the emotional dynamics of his biography. There are a lot of nuances, some of which are almost impossible to understand from a contemporary perspective, but I think it’s a great movie,” Keshelashvili said. Film enthusiasts, like new media student Jay Zhuang, found the film compelling because of its unique mise en scene and camera techniques. The Ukrainian, Georgian, and Armenian film director was highly scrutinized by the Soviet regime because his films did not fall under the accepted category of social realism, and he faced constant film bans, as well as imprisonment. Shahram Tabe, research scientist at the Ontario Ministry of the Environment and Iranian filmmaker and critic, concluded the night with a debate. Tabe explained how the film’s vagueness is symbolic of memory, specifically the interpreted memory of Sayat-Nova’s life through Parajanov’s eyes. “It’s just like a flash of memory, something that you remember from your childhood but you don’t exactly know what it was or what it means,” Tabe said. Tabe said that although the film is challenging and requires context, it is still beautiful and appealing to the audience.